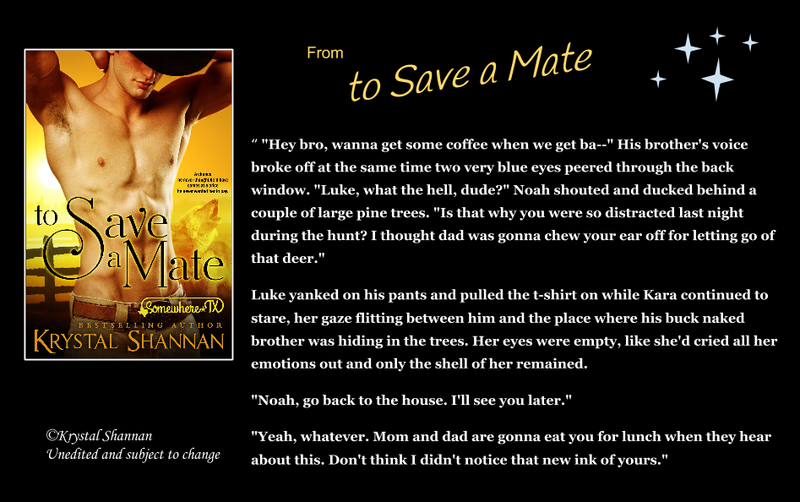 Coming December 16, 2014! 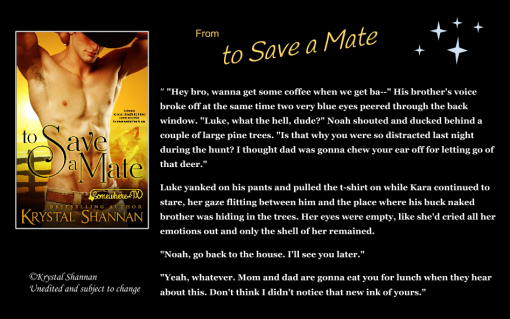 Today's Exclusive Excerpt Friday is from To Save a Mate a brand new NA paranormal romance series! I hope you enjoy it and don't miss checking out my inspiration on my Pinterest board below!